A negative comment from a coworker, a stressful encounter with a family member. How many times have you felt your blood boil this week? Twice, three times, maybe? Becoming angered over certain situations is a normal part of life. But, when you experience chronic anger, it can have serious consequences and can take a toll on your relationships, your health and your state of mind. Practice these four tips and you just may react to situations a bit differently. You may be on the fence about joining anger management classes or groups. A fresh perspective on things can go a long way in life. Also, realizing that there are circumstances that you can and cannot control can help, too. Fortunately, you can be in total control of your situation by doing the following. 1. It’s true, deep breathing can help in more ways than one, but especially when you are angry. Deep, slow breathing helps counteract rising tension and may allow you to feel more relaxed. The key is to breathe deeply from the abdomen, getting as much fresh air as possible into your lungs. Feel better, now? 2. Exercise may not be the first thing you gravitate toward when you are “seeing red.” However, exercising has its place in helping with anger management. A brisk walk around the block is a great idea because it can release pent-up energy, so you can approach the situation with an entirely different frame of mind. 3. 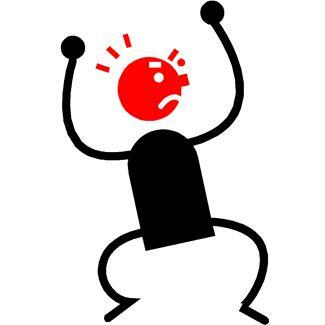 Seeking the help of a professional can greatly help with anger management. Why? Therapy can be a great way to explore the reasons behind your anger. If you don’t know why you become angered, it can be very difficult to control. Therapy provides a safe environment to learn more about your reasons for becoming so angry in the first place, it also can identify triggers for your anger. 4. You may be on the fence about joining anger management classes or groups. Anger management classes or groups allow you to see others coping with the same struggles. You will also learn tips and techniques for managing your anger and hear other people’s stories, which can enable you to better cope with your anger. Confucius once chided, “When anger rises, think of the consequences.” Though you may become angry more often than you would like, it is a great thing to learn ways in which to deal with your anger in a healthy manner. This entry was posted in Health, Self-Help, Slideshow and tagged Anger Management, Confucius, Howdini. Bookmark the permalink.